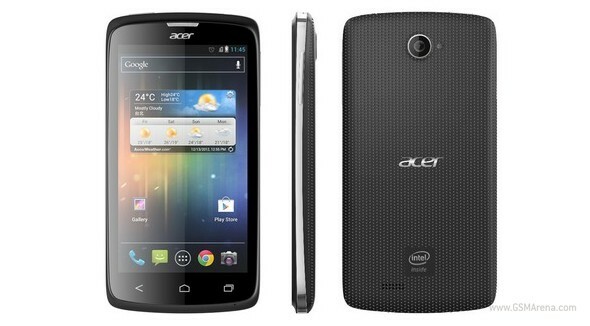 At an event in Thailand, Intel and Acer presented a new Android smartphone. The Acer Liquid C1 makes use of the latest mobile Intel Atom Z2420 chipset, which was only recently announced - back at CES earlier this month actually. The Acer Liquid C1 is not a high-end model but it's still decently equipped. At the front there's a 4.3-inch IPS screen of qHD resolution (960x540 pixels). On the back there is an 8MP auto focus camera. The Intel Atom Z2420m chipset (codenamed Lexington) has a main x86 processor, running at 1.2GHz. It's a single-core CPU with support for Hyper-Threading. It's meant to deliver reasonable performance at a tempting price point - great for emerging smartphone markets. The chipset supports hardware-accelerated 1080p encoding and decoding plus it enables the Liquid C1 camera to snap 5 still images in a second. Unfortunately, the smartphone comes with only Android ICS preinstalled. There is no word on plans for future updates to more recent versions of Android, but we haven't seen a proper press release from Acer either, so there's still hope. The Acer Liquid C1 should launch this February - initially in Thailand, and later on in other South Asian countries. It will be priced around 9,990 baht, which makes for around USD$335. Intel inside... ... and idiot that overpaid this phone outside. Razr i all the way!